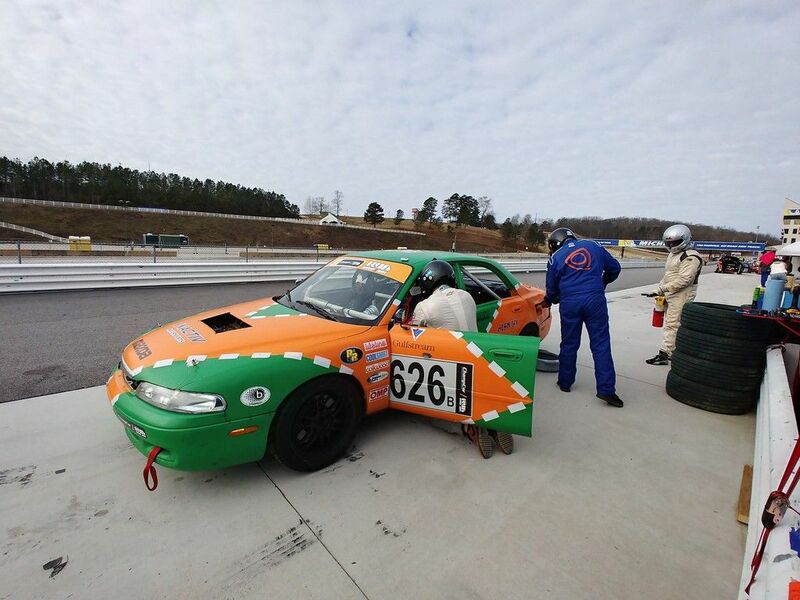 We have stints available in our Mazda 626 for the February 2019 14-hour ChampCar race at Road Atlanta. Our Mazda is a B-class car with a good running 4-cylinder. We run full 2-hour stints with our OEM tank. There is a Sparco Pro Circuit 2 halo seat, Cool Suit and bottle holder. It will comfortably accommodate drivers of at least 6'-3". We run a Rugged Radios system with IMSA plug. We also live-stream every race on YouTube Live and have a GoPro in the car to give footage to drivers. Car is always thoroughly prepped before each race and we run RS4's and always have an extra mounted set in the trailer with a comprehensive spares package. The car weighs under 2300# no driver on the grid and makes nice power from a KSR-tuned 2.0 FS Mazda engine. The 626 is fun to drive and surprisingly neutral for a FWD car with a touch of oversteer from the aftermarket rear ASB and trailing links. We have yet to have a driver get out of the car without a smile on their face. 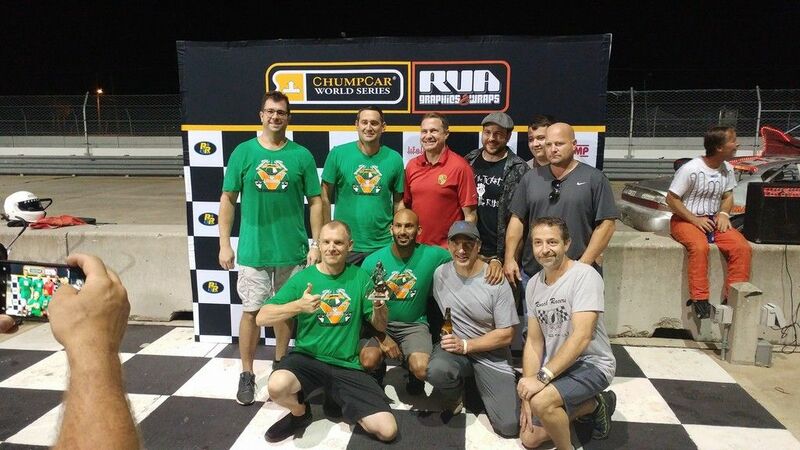 We won our class (B) at last September's 14-hour Sebring race and placed 17th OA. We placed 6th OA at the December 10-hour Sebring race. 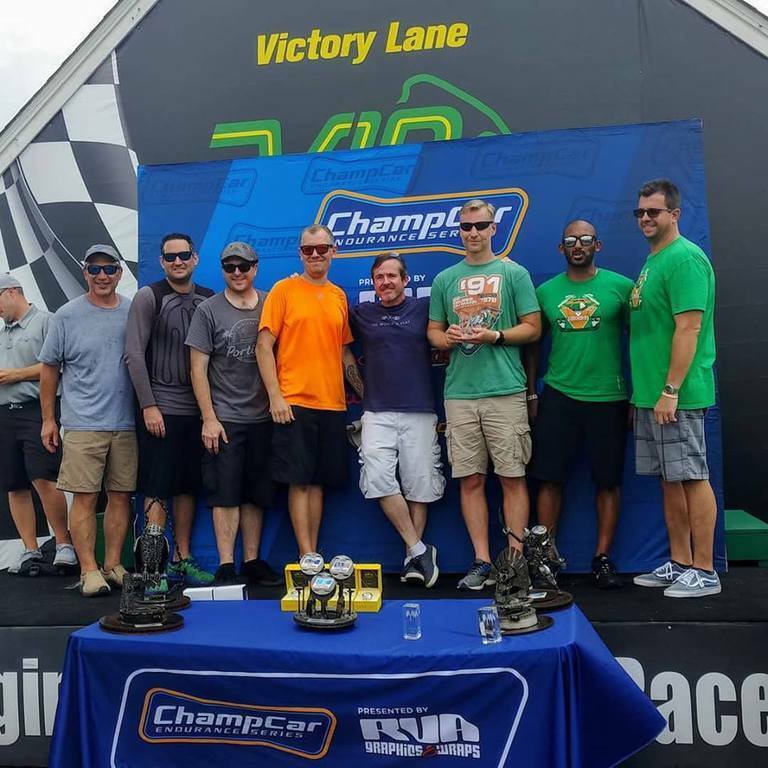 We just won our class (B) at the August 24-hour VIR race and placed 15th OA. We ran very well at Road Atlanta this year, moving from 78th to 17th before exiting the race with a broken shift fork at ~9 1/2 hours. We are looking for solid and safe drivers with W2W experience for 2-hour stints at Road Atlanta. We like to be competitive and run 5-minute fuel/driver change stops. We also run a strategic race. If you're coming to race with us please know that we take this seriously. We provide a contract for renters that spells out all terms of the rental including reimbursement of both the damage deposit and stint fees should the renter not get their stint. We will provide food and drinks during the race for drivers. This is an arrive and drive and we do not expect renters to have to go over the wall. Road Atlanta has a practice day, and we will get drivers in for some track time prior to the race. We'll be bringing our 48' fifth-wheel with generator power (and heat) if drivers need a warm place during the race. Also...Road Atlanta veterans please note, we have the OEM headlight housings in the car, but run four LED cube lights mounted in the center bumper opening. If interested, please PM on this site; or send an email to InActivMotorsports@gmail.com ; or contact us through our FB page by clicking the "Send Message" button. This is a great team to drive for and a fun car to wheel around a track. These guys take great care of their drivers and present a fun atmosphere. 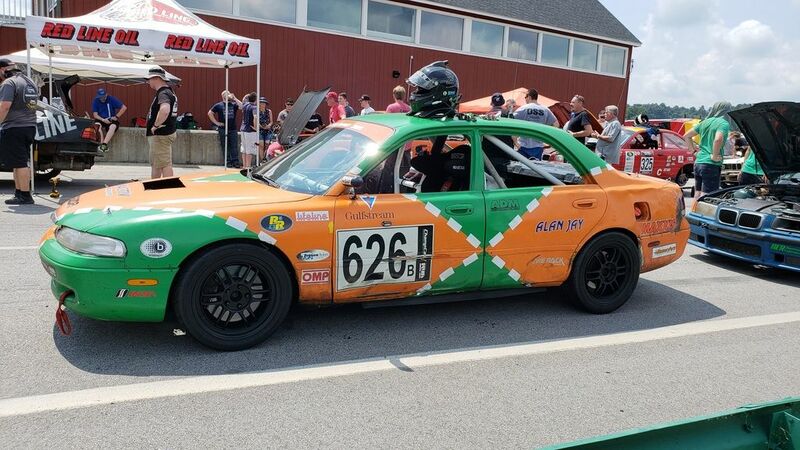 I ran this race with them last year at this race and had low expectations from a Mazda 626, but I was dead wrong. You can go after it and be rewarded. You will be surprised with where this car can place overall. Have had a bunch of inquiries, sent out some contracts and have commitments for three of our stints. Four still available. We are now full for this race. Bump, we had a late cancellation and have 1 stint available.